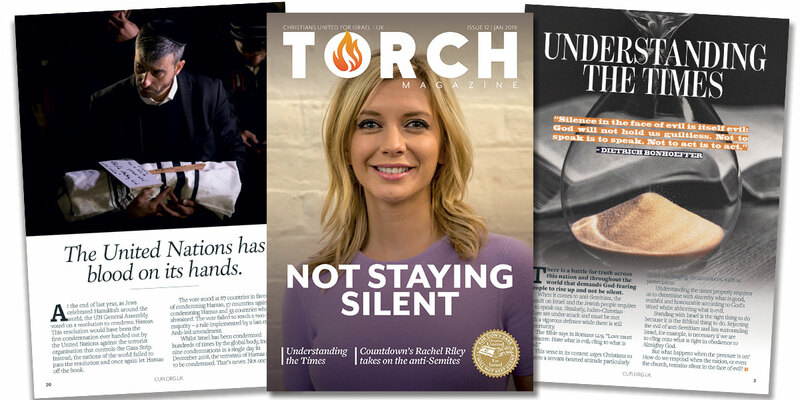 In this issue we highlight the importance of not remaining silent in the face of evil. We draw upon the inspiring life of Dietrich Bonhoeffer, a faithful German pastor during the Holocaust, whose inspiring story reminds us of the need for Christians to speak out amid rising anti-Semitism and the deepening assault on our Judeo-Christian values. One person not remaining silent right now is Countdown’s Rachel Riley; we trust our article about her speaking out against anti-Semitism will encourage you to do the same. Elsewhere, we look ahead to which country could be next to move their embassy to Jerusalem. “Next year in Jerusalem” – Who will be next to move their embassy?